Faculty members in the School of Science and Mathematics recently received more than $2 million in grants from the National Science Foundation (NSF) and Binational Science Foundation (BSF) to purchase equipment, provide students with scholarships, promote curricular innovations and conduct research on topics ranging from ectoparastite biology to mathematical biology. Timothy Walston, Zhong (John) Ma, Brent Buckner, Diane Janick-Buckner and Jose Herrera received $196,304 for an NSF-MRI (Major Research Instrumentation) grant entitled, ‘Acquisition of Confocal Microscopy Instrumentation to Enhance Undergraduate Research at Truman State University.’ This grant will fund the purchase of a confocal microscope that will be placed in Truman’s Integrated Microscopy Suite. Students and faculty members of ATSU and Truman will use the microscope to study cellular process in living organisms. Laura Fielden received $120,000 from the BSF (U.S.-Israel) for a proposal entitled, ‘Between-host phylogenetic distance and host selection in fleas.’ The U.S.-Israel BSF promotes scientific relations between the U.S. and Israel by supporting collaborative research projects between Israel and U.S.-based researchers. This collaborative grant with faculty members at Ben Gurion University (Israel) will provide summer research opportunities in Israel for undergraduate and graduate students for up to four years. Jason Miller, Barbara Kramer and Timothy Walston received $1.2 million for an NSF-PRISM (Proactive Recruitment in Science and Mathematics) proposal entitled, ‘Scientists Prepared, Enriched, and Challenged Through Research-based Activities (SPECTRA).’ The NSF-SPECTRA program is a five-year initiative to serve regional and national needs by increasing Truman’s capacity to recruit students to the study of STEM (Science, Technology, Engineering, and Mathematics) and to support those pursuing STEM baccalaureate degrees. The majority of the funds will be directed toward student scholarships, but the program also features the development of an integrative freshman seminar and three new integrative, inquiry-based courses spanning biology, chemistry and mathematics. Pamela Ryan, Brent Buckner, Jason Miller and Jon Gering received $500,000 for an NSF-UBM (Interdisciplinary Training for Undergraduates in Biological and Mathematical Sciences) proposal entitled, ‘Integrative Research-focused Experiences and Curriculum in Mathematical Biology.’ This five-year grant provides funding for interdisciplinary research-focused learning communities and module and workshop development to support the integration of mathematics in the biology curriculum. Donald Asher, internationally acclaimed author and "America’s Job Search Guru," begins his visit to Truman Sept. 28 as part of the Career Center’s annual Graduate School Week program. Asher has published 10 books, which he wrote for online editions of the Wall Street Journal. He also works as the education columnist for MSN Encarta. Throughout the week, Asher will give presentations on how to write a personal statement, how to go to grad school for free and how to prepare now for grad school. During the week, 10 universities will have representatives on campus to provide information about their programs. Visiting schools include Webster University, the University of Tulsa, the University of Missouri-Columbia, A.T. Still University, Aquinas Institute and the Harry S. Truman School of Public Affairs. In addition, Truman will provide information about its graduate programs in accounting, biology, communication disorders, education, English and music. For more information, visit http://career.truman.edu. The Truman Assessment and Testing Office has announced the opening of its PearsonVUE Select computer-based testing (CBT) center. This new addition to the Assessment and Testing Office allows Truman to administer the Graduate Management Assessment Test (GMAT) exam for students wishing to pursue advanced study in business and management, as well as the Health Fitness Specialist (HFS) exam for exercise science majors. In addition, the Assessment and Testing Office continues to offer the general GRE, Praxis I, MCAT, and TOEFL tests in their ETS CBT. Hours of operation for both CBT centers, and more information about other exams offered by Assessment and Testing, can be found on the office website at http://testing.truman.edu. In the first weekend of competition for the semester, members of the Truman Forensics Union opened their season with multiple wins on the campus of Purdue University in West Lafayette, Ind., at the annual Boilermaker Special Forensics Tournament. Truman took second place in Debate Sweepstakes, which is a measure of overall team quality, and earned nine new qualifications to the national championship tournament. The weekend’s victories placed Truman ahead of colleges from Texas, Michigan and across the Midwest, including perennial Lincoln-Douglas contenders Central Michigan University. In Lincoln-Douglas, all four of the debaters advanced to elimination rounds, qualifying the entire varsity squad for competition at the national championship tournament next March. Sophomores Christian Johns (Carthage, Mo.) and Elizabeth Hatting (Omaha, Neb.) were tournament co-champions after winning their semifinal rounds. Juniors Sarah Backhaus (Liberty, Mo.) and Dylan Clark (St. Louis, Mo.) were quarterfinalists. In individual events, freshman Jessica Petrie (Bellville, Ill.) placed first in Impromptu Speaking and second in Extemporaneous Speaking in her first collegiate competition. Senior Susan Presley (Austin, Texas) also placed sixth in Impromptu. Sophomore Andrew Grojean (Blue Springs, Mo.) placed second in After Dinner Speaking and fifth in Prose Interpretation. “Anytime you can break 100 percent of your debate slots, that shows a level of intensity that will serve the team well over the course of a season,” said Kris Stroup, varsity debate coach. Next week, the team travels to Western Kentucky University in Bowling Green, Ky., for another competition. Anyone interested in competing in forensics should contact Kristi Scholten, director of forensics, at kscholten@truman.edu. Glamour magazine invites students to apply for the 2010 Top 10 College Women Competition. This competition recognizes the exceptional achievements and academic excellence of female college juniors (third-years) attending college in the United States and Canada. The competition serves as an opportunity for talented students to be rewarded for their leadership roles on campus and in the greater community. It is also an opportunity to spotlight the University. Winners receive $3,000, coverage in an issue of the magazine and a trip to New York City where they will meet with top female professionals. Deadline for entries is Dec. 1. The 2009 winners and the electronic application for the 2010 competition can be found at http://www.glamour.com/about/top-10-college-women. Please direct any questions regarding the competition to atttcw@glamour.com. The Kansas City Symphony will perform at 7:30 p.m. Sept. 29 in Baldwin Hall Auditorium. The Symphony, founded by R. Crosby Kemper, Jr. in 1982, plays a 42-week season. KCS performs a wide variety of subscription, educational, touring and outreach concerts. 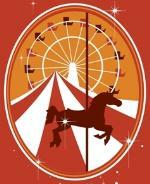 In addition, the symphony performs with the Lyric Opera of Kansas City and the Kansas City Ballet. Steven Jarvi, who the Wall Street Journal describes as “eloquent and decisive,” leads the group’s 80 full-time musicians. Jarvi has become recognized as an extraordinary talent with an equal passion for the concert hall and the opera house. 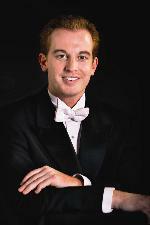 Jarvi received the KCS Assistant Conductor position in Fall 2008 after completing two seasons as Conducting Fellow with the New World Symphony in Miami Beach and as an Associate Conductor for the New York City Opera at Lincoln Center. Jarvi was recently named Bruno Walter Associate Conductor Chair for the 2009-2010 season, one of only three awards given nationwide for the concert year. His responsibilities include leading the Pops and Family Series concerts and serving as the cover conductor for the Classical Series. A limited number of tickets are still available. Students can pick up their free tickets by presenting a Truman ID at the Student Activities Board Box Office, located in the lower level of the Student Union Building. Faculty and staff may receive their free ticket by showing their Truman ID at the Information Center in the Student Union Building. General admission tickets cost $7 for adults and $4 for those 18 and under and may be purchased at Edna Campbell’s or the Truman Cashier's Window in McClain Hall. This year, the Multicultural Affairs Center will offer Diversity Enhancement Grants to students, faculty and staff members who support cultural months. For example, November is Native American Heritage Month. The MAC, as well as the Diversity Enhancement Committee, will review any applications in support of Native American Heritage Month, another cultural month or any other programs that support Truman’s diversity mission. For more information about Diversity Enhancement Grants, please review the website at http://mac.truman.edu or contact Kati Smith, Programming Coordinator at the MAC, at 785.4142 or by e-mail at katismith@truman.edu. 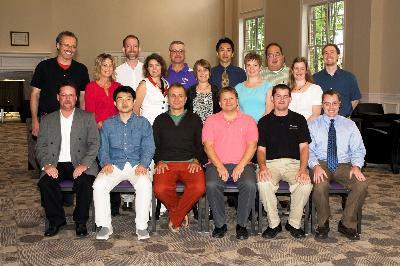 The following individuals participated in The Center for Teaching and Learning’s New Faculty Orientation Aug. 20-21. Seated, from left: Curt Blakely, Jaekwon Suh, Enrico Minardi, James Hammerstrand, Joseph Visker, Michael Rudy. Standing, from left: Merlin Taylor, Pamela Melvin, Perry Johansson, Theresa Presley, Allen (James) Grove, Tara Lockwood, Shinya Uchida, Sally Carlisle, Jesse Chupp, Amber McWilliams, Douglas Ball. Not pictured: Joseph Baumann and Wally Trosen. Representative Rebecca McClanahan (pictured left) nominated Bertha Thomas, assistant dean of Multicultural Affairs, (pictured right) for the DeVerne Lee Calloway Award, which is given annually by the Women Legislators of Missouri organization in honor of Missouri’s first African-American woman state representative. The award is given in recognition of community service and commitment to social justice. Thomas was one of six nominees for the award, which went to Kathleen Hanrahan, director of the YWCA, St. Louis Regional Sexual Assault Center. DeVerne Lee Calloway was elected to serve in the Missouri House of Representatives on her first bid for public office in November 1962. She served on the House committees on education, public health, safety and Social Security. She also served on the Elections Committee, Accounts Committee and as chairman of the Federal-State Relations Committee. During her career in the legislature, she worked actively to increase state aid to public education; to improve welfare grants and services for dependent children, the blind, the disabled and the elderly; and to reform prisons. The Kansas City Society of CPCU has announced the Percy S. Lorie Scholarship for the 2009-2010 academic year. This scholarship is intended for students that have completed at least 90 hours of college level classes and are majoring in insurance or a related field. Deadline for applications is Oct. 1. Applications are available online at http://www.kansascity.cpcusociety.org. The student representative plays a vital role in the protection and advancement of student interests by regularly consulting with the Board of Governors, the University’s highest policy-making body. To apply, visit http://governors.truman.edu. Applications are due by 5 p.m. Sept. 30. Direct questions, comments and ideas to Cody Sumter, current student representative to the Board of Governors, at cody@truman.edu. Nominations for the $10,000 Walker and Doris Allen Fellowships to recognize outstanding faculty members are being accepted by the Office of the Provost until Sept. 30. The Fellowships are open to all tenured or tenure-track faculty with at least four years of full-time service at Truman. For more, visit http://www.truman.edu/pages/131.asp. An informational meeting about the Missouri Government Internship will take place at 5:30 p.m. Sept. 30 in the Student Union Building Spanish Room. Pizza will be provided. The Missouri Government Internship Program offers a unique opportunity for students to intern at the Capitol in Jefferson City, Mo., with a public official, legislator or state agency during the Spring 2010 semester. Interns receive a stipend of $2,500 and up to 15 hours of credit. Applications are available online at http://career.truman.edu/Internships/mogovBrochure.asp. The internship is open to all majors. For more information, contact Heidi Templeton at 785.4016 or at heidi@truman.edu, or contact Candy Young at 785.4650 or at cyoung@truman.edu. FIRST-YEAR students should begin networking with employers and gaining insights into a career field. FACULTY & STAFF should visit with employers about our programs and students to encourage recruitment and employer retention. Not sure how to prepare for Expo? Stop by Expo 411 Oct. 12 from 11 a.m.-4 p.m. on the Mall. Intent to Graduate Forms for May 2010 are due Oct. 1. The forms can be found online at http://registrar.truman.edu/ or in the Registrar’s Office. They are to be returned to the Registrar’s Office in McClain Hall 104. For questions call 785.4143 or e-mail registrar@truman.edu. The Art of Living Club will offer an intensive yoga and meditation workshop Oct. 2-5. An informational/registration meeting will take place at 7 p.m. Sept. 29 in McClain 208. All of the Truman community, including faculty, staff and students, as well as the Kirksville community, are welcome to attend. Learn to stretch, breathe and relax into a higher experience of living. Written by Stephen Karam and PJ Paparelli. Dramaturgy by Patricia Hersch. Conceived by PJ Paparelli. Produced by arrangements with Dramatic Publishing Company of Woodstock, Ill. Sponsored by the Truman Theatre Department. For more information, contact Elizabeth Necka at enecka@truman.edu. Create and manage your Writing Center appointments online. If you’ve used the Writing Center before, then you can go straight to the scheduler: http://www.rich75.com/truman. Go to http://writingcenter.truman.edu or drop by the Writing Center in McClain 303 for details. Stokes Stadium • 1:30–3:30 p.m.
Students may pick up applications for the 2009-2010 award in the Dean of Student Affairs Office, located in the Student Union Building 3100. To qualify, students should be active on campus and in the community, have a 2.75 GPA, and be a senior eligible for graduation in December, May or August of the 2009-10 academic year. Completed student applications must be returned to the Student Affairs Office by Oct. 19. For more information visit http://saffairs.truman.edu or call 785.4111. The Dean of Student Affairs asks Truman faculty and staff to submit grant proposals for excursion/field trip opportunities for students. For information on past recipients, as well as grant requirements, please visit http://saffairs.truman.edu/stulife_initiatives.asp. Proposals are due to the Dean of Student Affairs Office in Student Union Building 3100 by Oct. 1. Looking for a fun way to make new friends and learn about other cultures? The International Student Affairs Office is looking for local families and community members to participate in its program. For more information, contact Adam Conway at adc546@truman.edu or by calling 660.785.4215. To pick up an application, stop by the International Student Affairs Office in Kirk Building 120. Pre-sale party for students, faculty and staff. Live music, refreshments and drawings for free books. 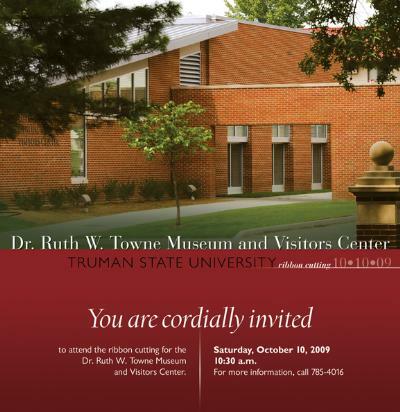 Truman ID must be presented at the door. Prices remain the same as in previous years – $.50-$1 for most items. Lots of great bargains! For more, visit http://library.truman.edu/about-us/book-sale.asp. Jill Weinreich has lived and worked in Venice for ten years, working most recently as on-site logistics coordinator and project manager for the American pavilion at the Venice Biennale (biennial international contemporary art exhibition held in Venice, Italy). In 2003 Weinreich worked with the Fred Wilson exhibition and this past year, 2009, with the Bruce Nauman exhibition (“Topological Gardens”), which won the Lion d’Oro award for Best National Participation. 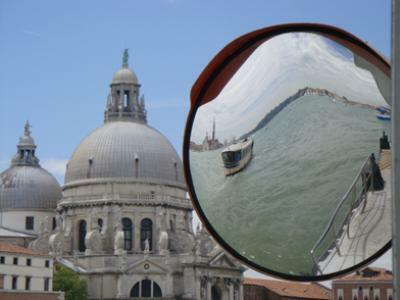 She will give a brief informal presentation about living in Venice, as well as about her experiences working with artists and exhibitions in Venice. The presentation will be followed by a question and answer session. For more information go to http://concept.typepad.com/trumanart/2009/09/jill-weinreich-to-speak-and-answer-questions-about-living-in-venice-and-working-with-the-venice-bien.html. Michael R. Bump, associate professor of music, served as Artist-Faculty and Principal Timpanist at the 2009 Sewanee Summer Music Festival in Sewanee, Tenn. During the five-week festival, he performed the U.S. premiere of Academy Award-Winning composer George Fenton’s, “Five Parts of the Dance” with Festival colleagues Russell DeVuyst, associate principal trumpet, Montreal Symphony, and Regina Yeh, professor of piano, Pacific Lutheran University. Taner Edis, associate professor of physics, published a review of “Intelligent Design: Science or Religion? Critical Perspectives,” Robert M. Baird and Stuart E. Rosenbaum, eds., in “Reports of the National Center for Science Education.” 29:4 34-5 (2009). Martin Erickson, professor of mathematics, recently had his book, “Pearls of Discrete Mathematics,” published by CRC Press. The book discusses the mathematics of enumeration theory, discrete probability, graph theory, number theory, game theory and algorithms. Ed Rogers, instructor in English and communication, published a book, “Explaining Satan: An Examination of Neo-Christian Criticism of John Milton’s Paradise Lost,” in August through Lambert Academic Publishing. Stephanie Vandas, a 2009 graduate, received a $1,000 Omicron Delta Kappa Foundation Scholarship for graduate study at the Harry S. Truman School of Public Affairs at the University of Missouri-Columbia. The Weekly Lunch Series continues with its fall series on Teaching for Critical Thinking at 12:30 p.m. Sept. 30 in the Spanish Room of the Student Union Building. Matt Beaky from the Physics Department will discuss the New Student Research Office and the New Student Grant Process. The Global Issues Colloquium features Baldwin speaker, Alan Guskin, who will present, “In the Beginning: Peace Corps,” at 7 p.m. Sept. 30 in Magruder Hall 2001. Truman faculty and others will share their experiences with the Peace Corps. In addition, the Career Center will present information on applying to the Peace Corps. The Weekly Lunch Series presents a special session with Alan Guskin at 12:30 p.m. Oct. 1 in the Student Union Building Spanish Room. The 2009 Baldwin Dinner and Lecture will take place at 5:30 p.m. Oct. 1. Alan Guskin, University President Emeritus from Antioch University, will speak on, “The Courage to Change: Higher Education Facing 21st Century Realities.” Sponsored by the Center for Teaching and Learning. The American Association of University Professors (AAUP) will meet at 4:30 p.m. Oct. 2 at the University Club House, located at 516 E. Patterson. Contact Marc Becker at marc@truman.edu or call 785.6036 for more information. The Rho Omega Chapter of the Sigma Theta Tau International (STTI) Honor Society of Nursing will host a series of events beginning at 12:30 p.m. Oct. 3 in the Student Union Building. The luncheon begins at 12:30 p.m. and is followed by a speaker and the induction ceremony for new members at 1:30 p.m. Induction ceremony reservations are required for lunch. The topic of the presentation, “Human-Companion Animal Interaction: Health for Both Ends of the Leash,” will be presented by Rebecca A. Johnson Ph.D., RN, FAAN, from the University of Missouri-Columbia. The Quincy Symphony Orchestra Association in Quincy, Ill., will present Istvan Szabó on viola at 7:30 p.m. Oct. 3 in the Quincy Junior High School Morrison Theater on the corner of 14th and Maine St. Tickets are free with a Truman ID. A University Orchestra concert will take place Oct. 3 at 8 p.m. in the Ophelia Parrish Performance Hall. Musical selections include works by Bach and Beethoven. Admission is free. JujiTSU Men’s Ultimate will host a 3-on-3 tournament beginning at 10 a.m. Oct. 4 in Stokes Stadium. Registration is $20 per team of five. Interested teams should e-mail Dennis Tarasi at Dennis@truman.edu with their team name and members or call him at 224.234.8241. Taner Edis, associate professor of physics, will present the Folklore Colloquium at 5 p.m. Oct. 5 in Ophelia Parrish 2113. His talk is "Angry Atheists and Soulless Scientists: Stereotypes of nonbelief in the era of the 'New Atheism.'" Thomas Trimborn, professor of music, will present “Encounters with Lincoln Through the Arts,” during a faculty forum at 7 p.m. Oct. 7 in Ophelia Parrish Performance Hall. Admission is free. The Men’s Basketball Team is selling Truman Basketball apparel. Orders are due by Oct. 15. For more information contact Tim Deidrick at 785.4272 or deidrick@truman.edu. The Rhapsody in Red Heart Gala will take place Nov. 7. All proceeds benefit the American Heart Association. For more information, contact Amy Currier at acurrier@truman.edu or at 785.4222. The Bulldog Football Team is selling “dog tags” for $10. Dog tag holders receive discounts at several area businesses. For more information call 785.7494. Truman is partnering with Missouri Campus Compact, the Adair County YMCA, Northeast Missouri Community Action Agency, the Salvation Army and the Missouri Rural Enterprise and Innovation Center on a collaborative survey. Eligible Kirksville residents will be paid $15 if they meet certain criteria. For the criteria and guidelines go to http://trumantoday.truman.edu/pdf/SurveyPoster.pdf.